There is no reason to be surprised by what the Fed did. Jerome Powell, EXPLICITLY stated back in September that the ONLY reason the Fed could consider changing course would be if the markets experienced a prolonged, MAJOR collapse that was so dramatic that it had a negative impact on consumer spending. 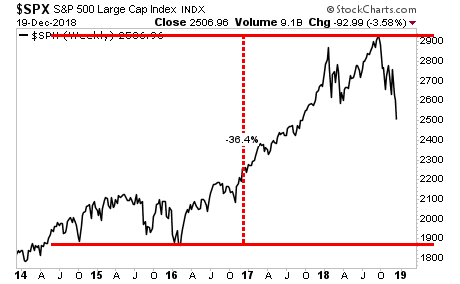 In plain speak, Powell bluntly stated that a stock market correction or even a 20% bear market is not enough… it would require a CRISIS for the Fed to stop being hawkish. There is a reason for this: Wall Street doesn’t have a carrot to dangle in front of him. Jerome Powell is worth over $100 million. He is not using his position as Fed Chair to launch a later career giving speeches for $250K or signing advisory deals as former Professors Bernanke and Yellen were. As a result of this, Powell actually believes in his role as Fed Chair as it was originally intended… namely to focus on the ECONOMY, not the stock markets. He isn’t interested in maintaining the Bernanke/ Yellen created Everything Bubble. He is interested in getting the Fed back on course by normalizing policy. With that in mind, the stock markets will be returning to levels associated with ECONOMIC realities, rather than their bubbly heights. 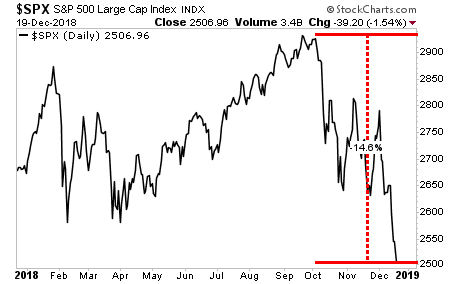 Economically sensitive assets such as Lumber and Housing have made it clear where that is: 2,100 on the S&P 500. So if you’re banking on the Fed changing course, you’re going to get taken to the cleaners. The bubble is over. The bear market is here. 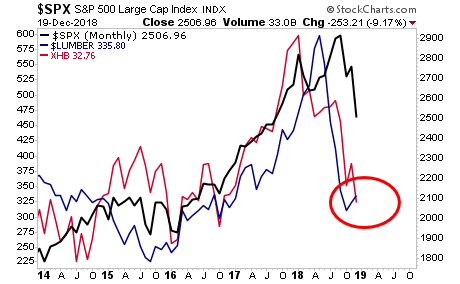 And stocks are going to be crashing as they finally “get” what the Powell Fed has been stating since January. The ERA OF SERIAL BUBBLES IS OVER… for now. A Crash is coming.